Jatka Preservation Week-2018 will be observed across the country from February 24 to March 2, aiming to create mass awareness on preserving Jatka (Hilsha fry) to boost the production of the national fish. Fisheries and Livestock Minister Narayan Chandra Chanda came up with the information at a press briefing at the secretariat on Thursday, reports UNB. “We have restored the proverb ‘Fish and rice make a Bengali’ as we are now self-sufficient in fish production after 46 years of our independence,” said the Minister. The production of fish in our country in 2016-17 fiscal year was 41.34lakh metric tons where the hilsa production was 12 percent. The contribution of hilsa in the country’s GDP ( Gross Domestic Product) is one percent. Around 25 lakh people are involved directly and in directly in hilsa production in the country, said Chanda. 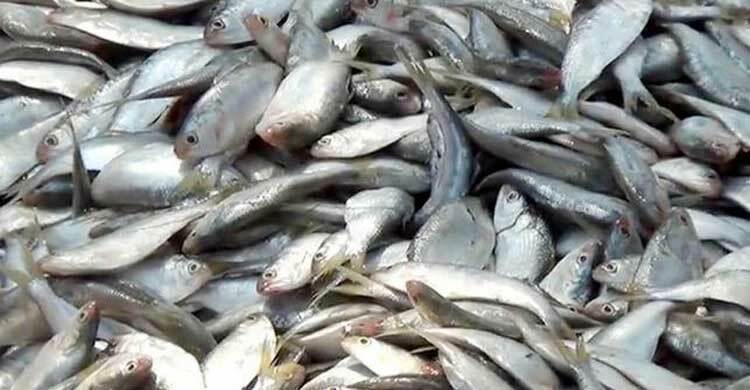 The hilsa fish has secured recognition as the geographical indication (GI) product of Bangladesh and now Bangladeshi hilsa will be presented in global market with its own identity, he said. The fish-enriched Bangladesh will be presented as a country of hilsa and the government is now committed to protect and preserve hilsa, he added.